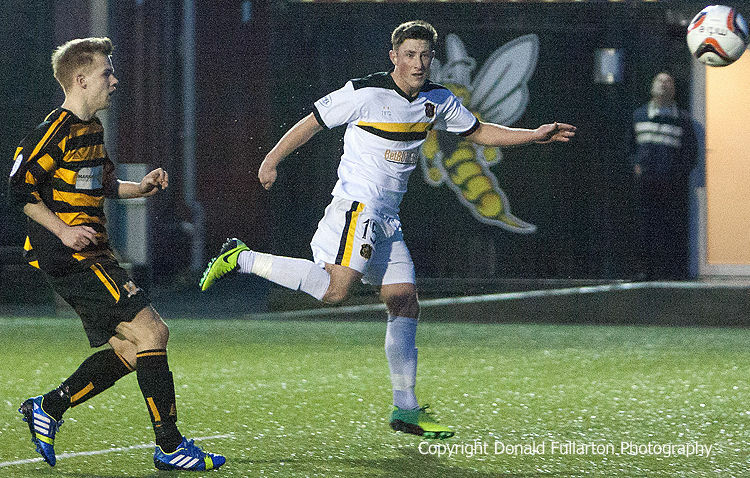 DUMBARTON produced a superb 5-1 over Alloa Athletic at Recreation Park to rise to fourth place in the SPFL Championship — their highest league placing for nearly 20 years. The post-match headlines were all about the subsequent resignation of Alloa manager Paul Hartley, but they should have been about an excellent Sons performance from start to finish in front of a 602 crowd. From the kick-off the visitors made their attacking intentions clear, and in no time they were 1-0 when Mark McLaughlin netted as Chris Kane distracted the keeper. Soon after Chris Turner made it two with a close range header. Despite playing up the slope Sons continued to attack and they were rewarded when Kane was tripped by the keeper. He took the kick himself and netted, his third goal in three games. Midway through the second half, just after a superb Stephen Grindlay save, Kevin Cawley netted for the home side, but the three goal advantage was soon restored with Kane blasting home his second goal. The best was yet to come, however, as Jordan Kirkpatrick volleyed home a stunning strike for goal no.5 (pictured) which made sure that Sons leapfrogged the Wasps and finished the day fourth in the division.